Get in shape, while having fun! *** Please note that our Spring, Fall and Winter sessions take place indoors at various locations, but come summer, we move outdoors among nature! Spring Session: April 3rd to May 21th, 2017.Sign-up now! *Registration at any time as long as there is places (space limited). Spring 2017 Session April 3 to May 21, 2017 except Mondays ending May 29, 2017. Spring session: April 3rd to May 21, 2017. Sign-up now ! Spring Session: 10 April 10 to May 26, 2017. Sign-up now here —>! 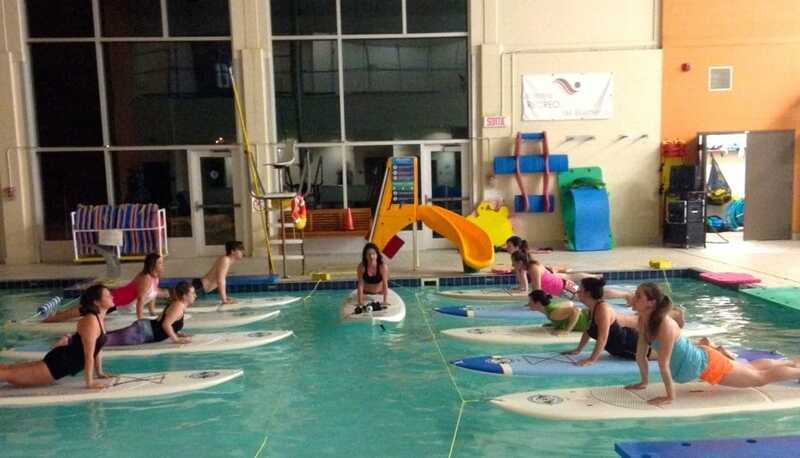 Sup Yoga, SUP Fitness & SUP Yoga Mix classes, are specifically designed for all fitness abilities. No prior experience is necessary and classes progress in difficulty throughout the session. Posture modifications are always available, as are the SUP boards which can be made more stable depending on your level of fitness. Why SUP Yoga? It improves flexibility, endurance, balance and relaxation. Why SUP Fitness? Full body workout, including abdominals and gluteus.